In this article we will show you HOW TO: Fix the Error loading /s.v00 Fatal error: 33 (Inconsistent data) in the VMware vSphere Hypervisor. This method can be used with any version of the VMware vSphere Hypervisor from 4.0 to 5.5. I feel this is a little more advanced, so I've not included it in the Basic VMware article series, as it does require some basic Linux skills and command usage. Please note before you make any changes to a Production VMware vSphere Hypervisor Host server, which is hosting virtual machines, it is important to ensure you have valid backups of your virtual machines. See my Experts Exchange article here - Part 10: HOW TO: Backup (Export) and Restore (Import) virtual machines to VMware vSphere Hypervisor 5.1 for FREE if you want to use a quick and free method to backup important virtual machines. The issue is caused by either a corrupted file or faulty flash media if installed to USB flash drive or SD card, this fault can occur at random. I'm writing this article, HOW TO: Fix the Error loading /s.v00 Fatal error: 33 (Inconsistent data) in the VMware vSphere Hypervisor, because this has recently occurred to me three times, on different occasions, at different sites with servers from different manufacturers after changing Advanced Settings on the ESXi host. 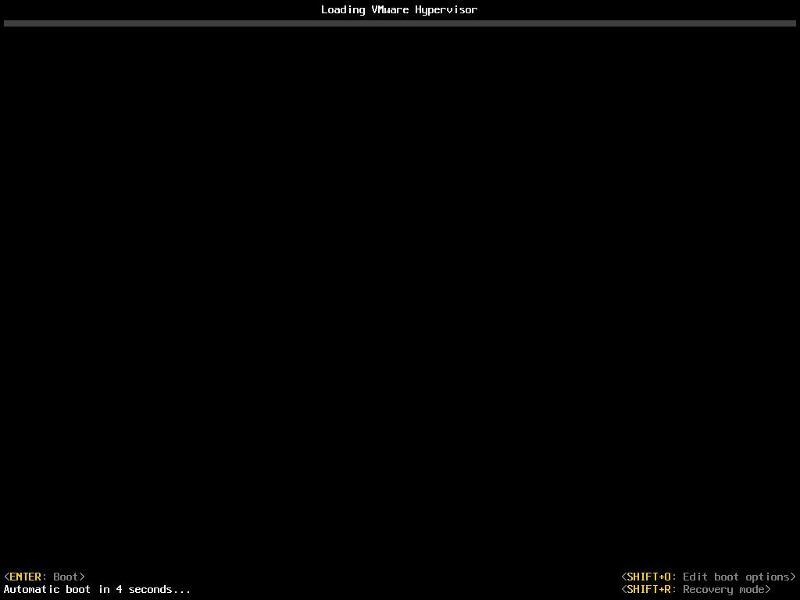 After a server restart the server fails to boot with Error loading /s.v00 Fatal error: 33 (Inconsistent data). The VMware knowledgebase would suggest reinstalling the ESXi OS. This however would result in a virgin installation and all the configuration would be lost, so reconfiguration would be required before the server could return to production. This is how I fixed the issue. 1. Check the existing USB flash media or SD card for damage. Remove the suspect USB flash drive or SD card from the physical server. Start the USB Imaging Tool application and create an image of the USB flash drive, this will create a backup copy of the flash drive, and whilst it reads the USB flash drive, it will detect and report any CRC checks if the flash drive has been damaged. I prefer to work on backups, rather than the production USB flash drive, when recovering installations, so using the USB Imaging Tool, you can use the previous backup image, to restore to a brand new good quality USB flash drive or SD card (e.g. HP, SanDisk, PNY, Lexar, Kingston). in this guide, but any hypervisor can be used. Create a small footprint VMware ESXi 5.0 Server virtual machine template, as long as the minimum requirements are met, you can BOOT the OS. e.g. 2 vCPUs, 2GB RAM, 40GB (thin hard disk) to test the USB flash drive. 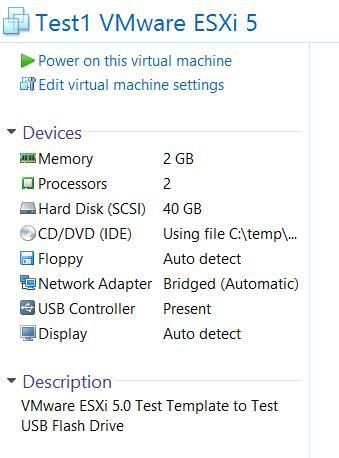 Andy's Handy Tip VMware Workstation cannot normally BOOT from a USB device, because the USB device needs to be available and connected to the VM before the VM is powered-on, and USB devices can only be connected to a VM, when the VM is powered on. Catch22!! 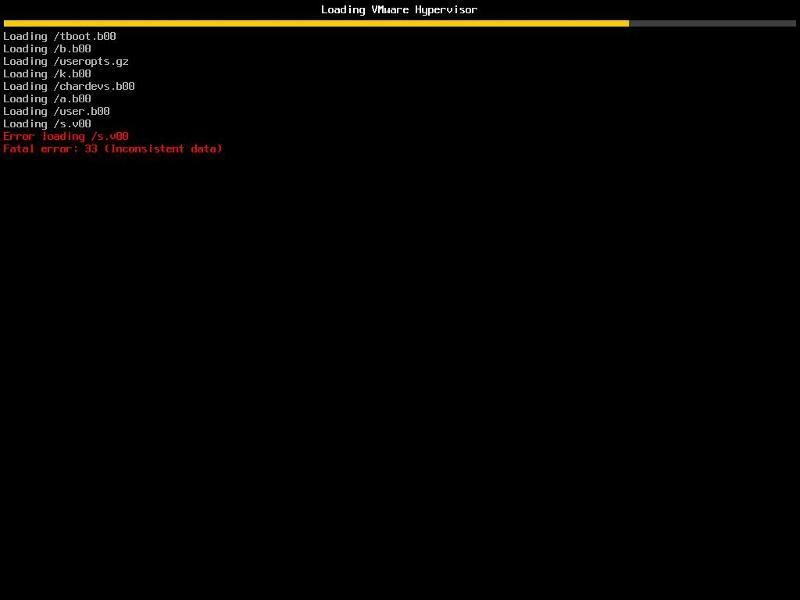 So I use the Plop Boot Manager 5.0 LiveCD iso from http://www.plop.at/en/bootmanager/plpbt.bin.htm. Connect the ISO to the CD ROM drive and BOOT the Virtual Machine as normal. Ensure the USB flash drive media to test is inserted and connected to the VM, select USB in the virtual machine. This confirms the USB flash drive has a corrupted file. 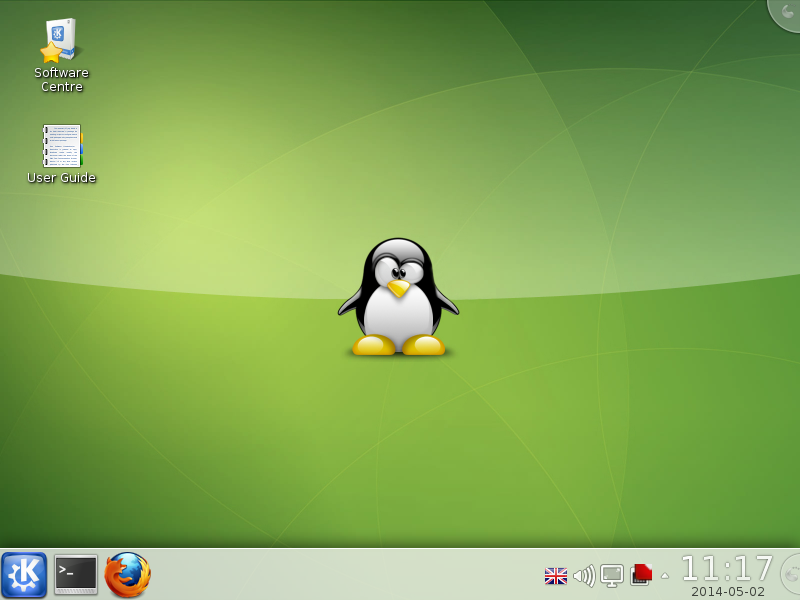 Power down the existing virtual machine, created in Step 2, and connect the Slax Linux pocket operating system Linux from http://www.slax.org/ to the virtual machine. 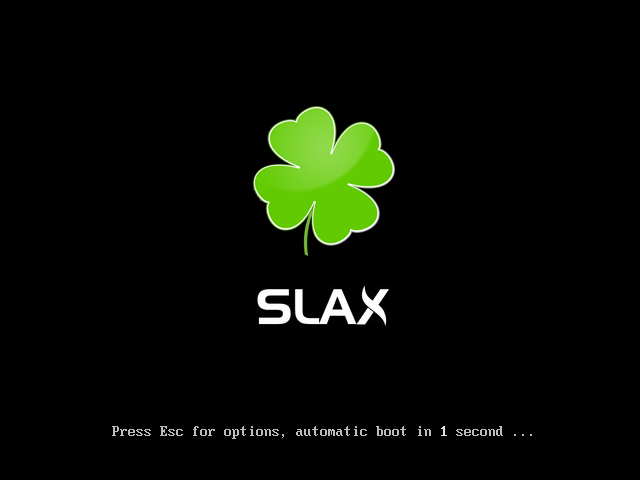 We will use the Slax Linux pocket operating system to mount the VMware Hypervisor (ESXi) partitions to fix the corrupted file, by replacing with a known working version. Ensure that the backup USB flash drive containing the VMware Hypervisor OS is connected to the virtual machine, I've also copied a working copy of the file s.v00 to another USB flash drive, ensure this is also connected to the virtual machine. 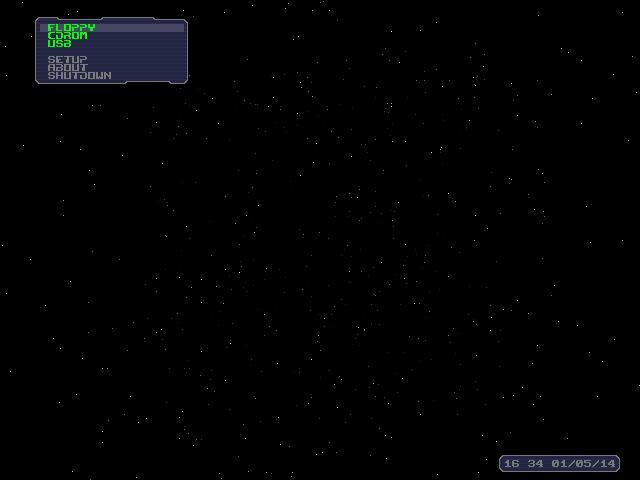 Open a terminal, and run the command dmesg, you should be able to see the two connected USB flash drives. 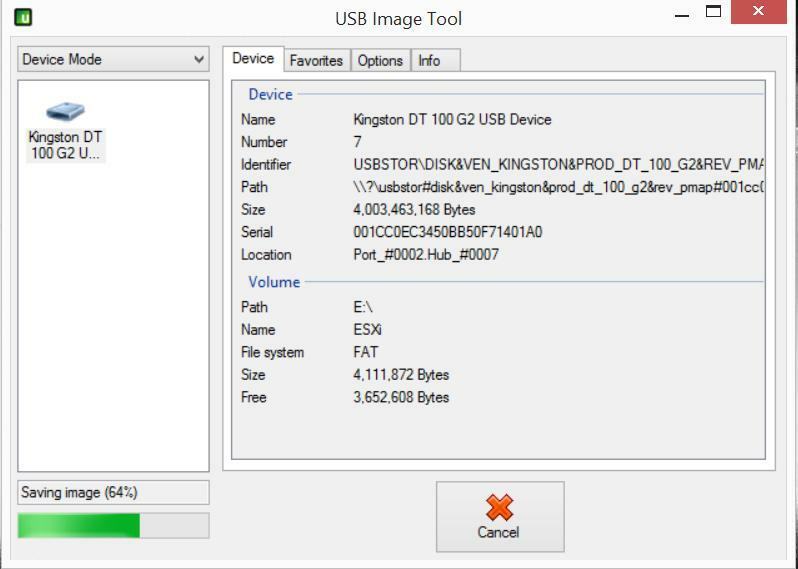 In this guide, device [sdb] is a Kingston DT 100 G2 4GB flash drive which contains the faulty OS, with the corrupted file, and device [sdc] Kingston DataTraveler 2.0 16GB flash drive contains the new file s.v00. In the next few steps we will mount the USB flash drives partitions, and checksum the files, and finally copy and replace the corrupted file. Type the following in the terminal window mkdir /mnt/sdb5 - create a folder directory for the mounted partition for the ESXi. mkdir /mnt/sdc1 - create a folder directory for the mounted partition. mount /dev/sdb5 /mnt/sdb5 - mount the ESXi OS flash drive partition. 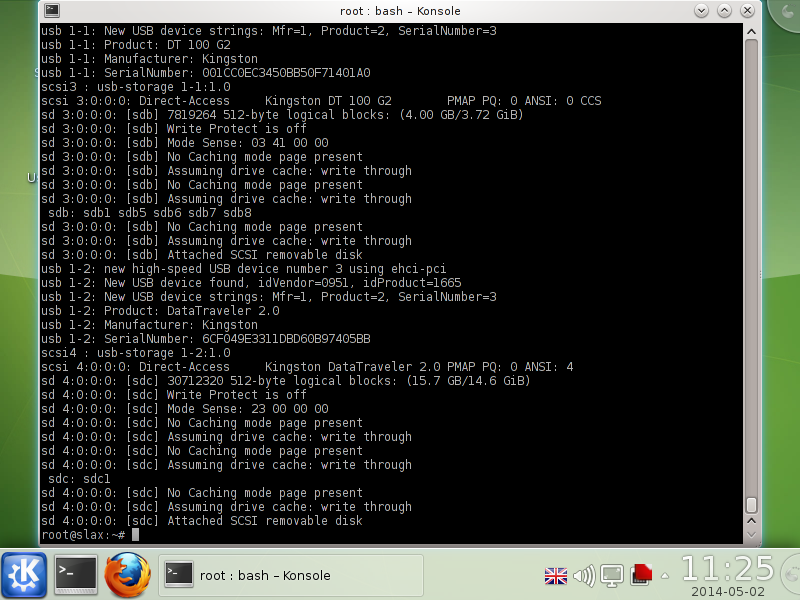 mount /dev/sdc1 /mnt/sdc1 - mount the flash drive partition. md5sum /mnt/sdc1/s.v00 - checksum file ensure matches working copy from host. md5sum /mnt/sdb5/s.v00 - checksum corrupted file. Type the following commands to copy the working copy of the file s.v00 to the ESXi OS faulty media. Exit terminal mode, disconnect the USB flash drives from the SLAX virtual machine. You should find the server successfully boots, and the ESXi USB flash drive installation media, has been successfully repaired. Congratulations, you have successfully Fixed the the Error loading /s.v00 Fatal error: 33 (Inconsistent data) in the VMware vSphere Hypervisor.